Does your engine seem like it's out of breath? You can increase engine breathing with a Holley high-air-flow throttle body! Fully CNC machined from 6061 billet aluminum, these new Holley throttle bodies are designed to use the stock TPS and IAC to simplify installation. Some throttle bodies are even anodized clear, blue or red for good looks. They also include all the necessary vacuum ports and linkage to facilitate installation. Don't get left in the dust. 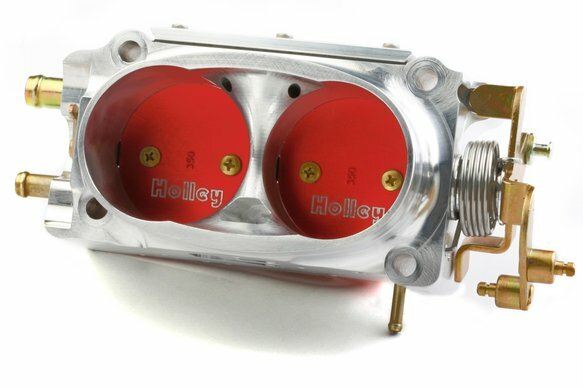 New Holley high-flow throttle bodies are the ticket to ride.